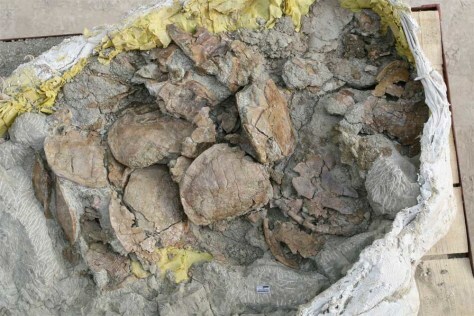 "This site has probably more than doubled the known number of individual turtles from the Jurassic," said University of Tubingen turtle expert Walter Joyce. "Some of the shells were stacked up on top of one another in the rock." Joyce added that this pile-up is called a bone bed.